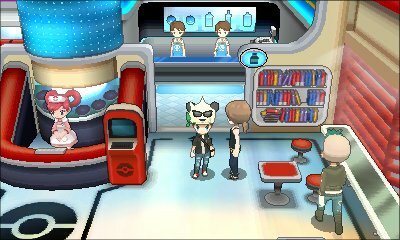 As Pokémon X & Y do not have all of the Pokémon, there are various bits that aren't unlocked until you have transferred a Pokémon over from Generation V games into Pokémon X & Y. Most of these are hinted about normally when you converse with the various characters in-game, but remain locked until you have transferred the Pokémon and brought each of the following Pokémon to each respective area. 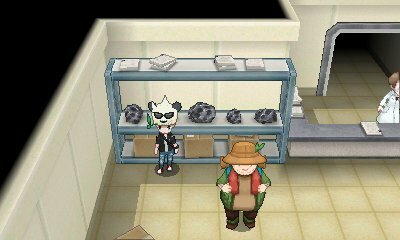 In the Fossil Lab in Ambrette Town, in the north-west part of the lab you will find various Meteorites. Four of these meteorites will allow you to change Deoxys' form between its four forms: Normal, Attack, Defense and Speed Formes. 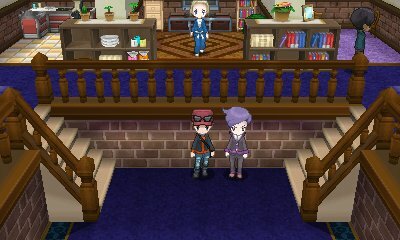 Within the Pokémon Center in Snowbelle City, you will find this girl. Normally, she talks about the Gracidea flower and the history behind it, but if you show her a Shaymin, she will be very grateful and will give you the Gracidea. This item can be used to change Shaymin into its Sky Forme if it is not frozen and it is between 8am and 5pm. 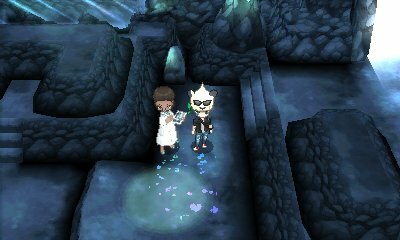 Just west of the Shalour City exit of Reflection Cave, you will find a scientist who states that there are actually many more Reveal Glasses than the one that has been discovered in Unova. If you show her a Tornadus, Thundurus or Landorus, she will give you a Reveal Glass which can be used to change those Pokémon between their Incarnate and Therian Formes. 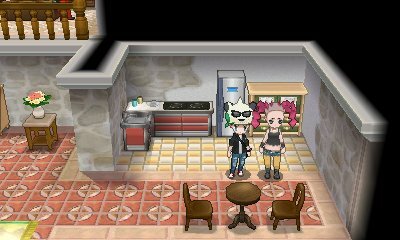 In the north-westernmost house in Kiloude City, you will find this Punk Girl who dreams of seeing a Kyurem. If you show her one, she will give you the special DNA Splicers item. This item is a key item that can fuse Kyurem with either Zekrom or Reshiram to create Black Kyurem or White Kyurem respectively. 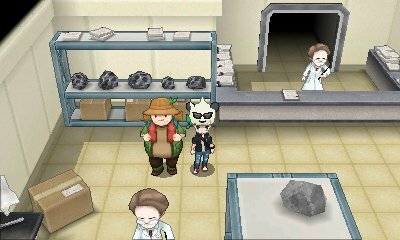 In the Fossil Lab in Ambrette Town, you will be able to speak to this hiker, who asks to see a Genesect. If you show him the Genesect, he will give you the Blaze Drive, Chill Drive, Douse Drive and Shock Drive items, which allow Genesect to use different types of the move Techno Blast.